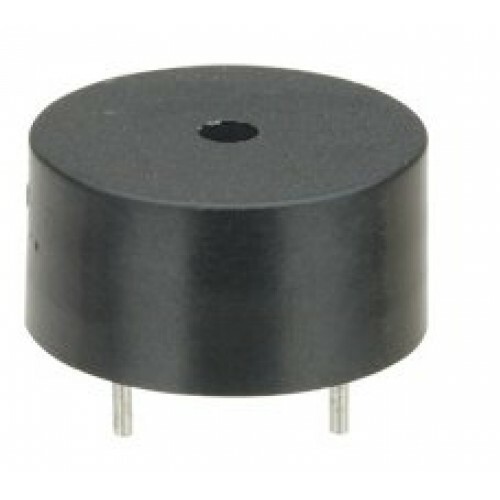 A piezo audio transducer that is epoxy sealed at base and suitable for PCB mounting. 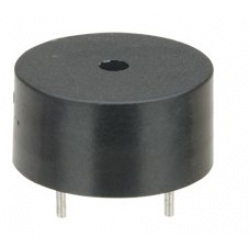 The piezo transducer generates a range of audible tones and frequencies when energised by 5V peak square wave. They can be driven direct from CMOS ICs with low power consumption. Although generally run at higher frequencies, they work well with the 500Hz PWM ouput from the Arduino boards.